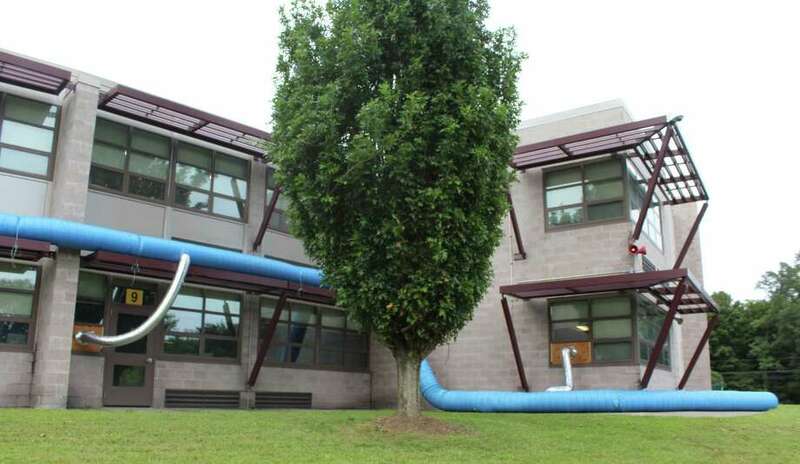 WESTPORT — Over $1 million has been spent on the last two phases of mold remediation efforts at Coleytown Middle School, according to the Westport Public Schools’ chief financial officer. In the 2016-17 period the district spent $710,211 on mold remediation and related professional services at Coleytown. While in the current 2018-19 remediation phase, the schools have shelled out $942,226 with another $21,664 projected to be spent soon, Elio Longo said. Insurance proceeds covered $535,536 of the work in the 2016-17 period, leaving the district with a net cost of $174,675. The amount of insurance proceeds for this latest phase of remediation are still to be determined, Longo said. The costly expenditures for Coleytown, which closed last fall due to issues with mold, are not expected to end anytime soon, now that the Board of Education has established a Coleytown Middle School Building Committee to oversee the school’s renovation. On Monday, the committee reviewed a list of 63 ideas for renovations at Coleytown recommended by the education board, Building Committee Chair Don O’Day said. “What the building committee needs to do is understand how many of those we can actually tackle and of those we can, which items will be done prior to the opening in August of 2020 versus those which will be spaced out over the next year or maybe two years,” he added. The most important goal the committee must meet before reopening Coleytown is to make the school watertight and environmentally safe, O’Day said. “Any place where water has been coming in, we have to make sure that is fully sealed and repaired,” O’Day said. Among the repairs needed to make Coleytown watertight is a replacement of most, if not all, of the building’s windows in addition to repairs to the roof and renovations to waterproof the school’s exterior. A new heating, ventilation, and air conditioning system is all needed to effectively control the environment within the school, O’Day said. Once price estimates are finalized in June, the building committee will request funding from the Board of Finance and Representative Town Meeting, O’Day said.